eFunda Directory Service: Company Details: HengRun Composite Co.,Ltd. HengRun Composite Co., Ltd. manufacture a wide variety of custom filament wound and contact molded tanks using only state of the art equipment and technology. We're proud of our reputation for superior products and customer service. When it comes to fiberglass tanks, we'll work closely with you through every step of the process to ensure you get exactly what you need. Your complete satisfaction is our number one goal. 1. Lightweight, the density of FRP is 1.5~1.9g/cm^3, it is one-fourth of steel, but its strength is more higher. 2. 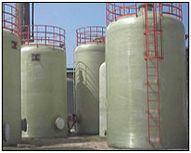 Corrosive resistant, it can store the medium of acid or alkali or salt through choosing deferent kinds of resin. 3. Low thermal expansion coefficient, good property of thermal isolation. 4. Forming easily and maintains convenient, the type of the covers or bottoms can be made flat bottom, cone bottom or elliptic bottom. 5. Good low temperature resistant. 7. The maxi vessel can be manufactured on site. 8. The parts of level, railings, ladders and platform, can be made accordance with the requirements. All nuts/bolts and washers in contact with the water are of stainless steel . Non-immersed nuts, bolts and washers are either zinc plated , passivated or galvanised . The panels shall be supported externally or internally by an adequate support system Elements of external supports shall be hot dip galvanized. 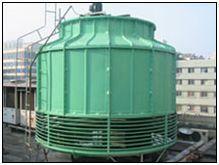 Interior supports shall be chemically resistant to the quality of stored water. A GRP sectional tank of 1.5m depth or more shall be provided with an internal ladder made up of terials same with the supports. The external ladders shall be galvanized mild steel or equivalent. Manways are bolted & vented which are in a standard size of: 600 x 600mm. They can be alternatively supplied hinged as a Deluxe Manway Inspection hatches 450 x 450mm are supplied standard with tank(s) holding over 1000 litres. High Strength: Double stronger than steel yet weighs about 60% less. Chemical Resistance: When treated with appropriate resins, composites with outstanding resistance to chemicals can be developed. The glass fibre resists attack from most chemicals. Compatibility: Accepts different types of sizes enabling it to be compatible with many synthetic resins as well as mineral matrices like cement, plaster etc. Part Consolidation: Composite materials of glass fibre can be used to produce one piece part which integrates several functions and thus replacing several other assemblies. Durability: Does not degrade, or deteriorates as insects or rodents can not attack them. Fatigue Life: Exhibits very good fatigue properties and can undergo very long cyclic loads without fatigue. Incombustible: Being a mineral material is neither combustible nor supports combustion. When exposed to heat, it neither emits smoke nor toxic gases. Inherent resistance to microbiological attack, corrosion and erosion. The capability of plastics to be molded into single parts of complete shape and dimensions is a distinct advantage. Equipment used to contain or store materials prior to, during, and after their processing.